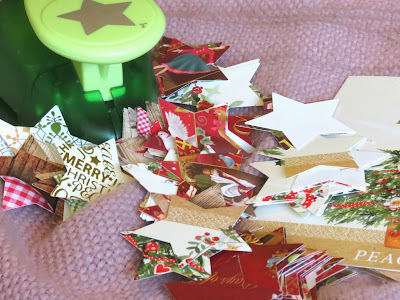 You have been inundated with Christmas cards, every surface is 6 cards deep & yes they are very nice but it seems a shame to just bin them as soon as Christmas is over. Sound familiar? 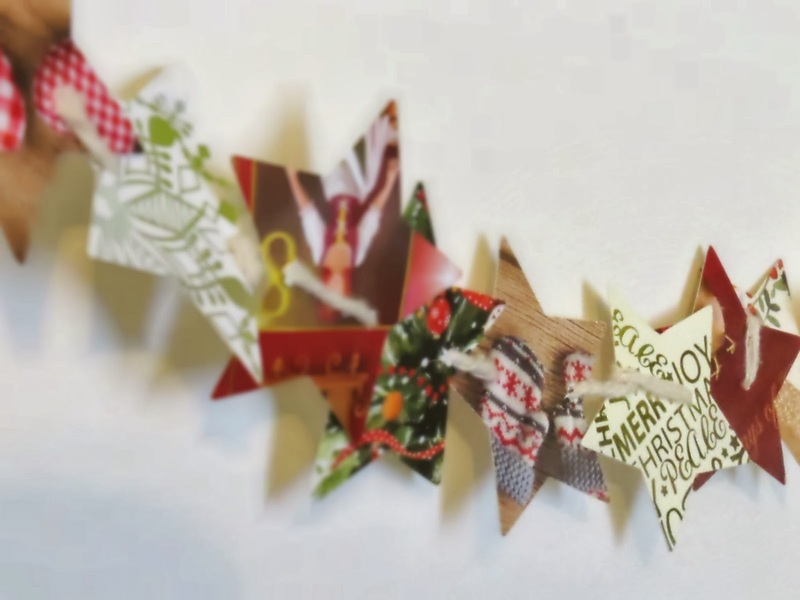 This really easy & pretty alternative to paper chains could be the answer to your problems. This is actually a really pretty Christmas decoration & kept my foster brother - who has been known to use every scrap of wrapping paper in the house making paper chains - busy for hours. 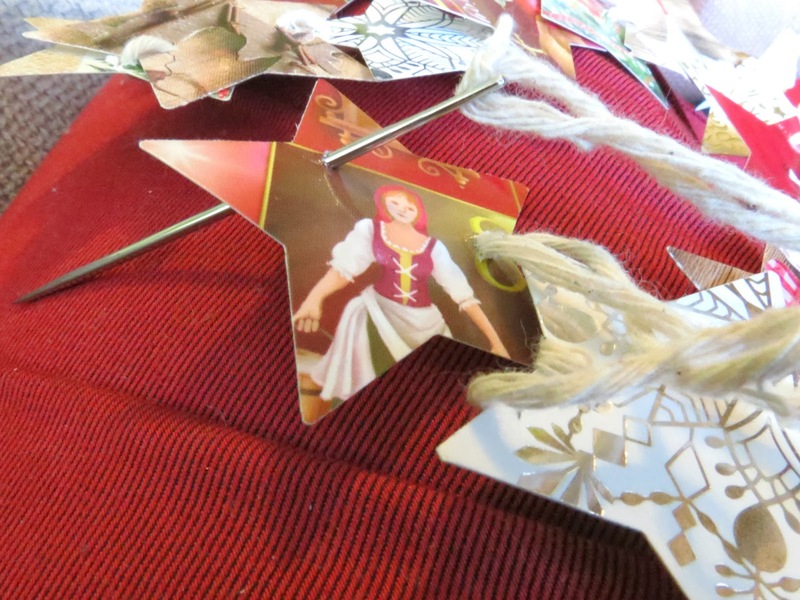 Plus it taught him the basics of sewing, recycling & focus....this is a magic project. Once you've got your stuff together, this is really simple. Cut a length of twine as long as you want the star chain to be & tie a knot in one end. Thread the needle onto the other end of the twine. Sew the stars onto the twine by stabbing it through the star on one side & then pulling it through in a hole on the other side - if you are doing this with younger children it may be best if you make the holes with a sharp needle before they start sewing & give them a blunt needle to thread them with. Once you are close to the end of the twine or the stars you have, unthread the needle, tie a knot in the twine & enjoy!